Duhs Commercial started in 2008 and founded by the 2-brother team of Scott and Craig Duhs. They are well acquainted with the San Diego real estate market, with over 53 years experience combined. They have a hands-on approach to real estate and bring a wealth of market knowledge to their clients, whether landlord or tenant. Since 1990, they have successfully completed 900 million dollars in leasing and sales transactions. Currently, Duhs Commercial has the leasing responsibility for over 80 shopping centers throughout Southern California. 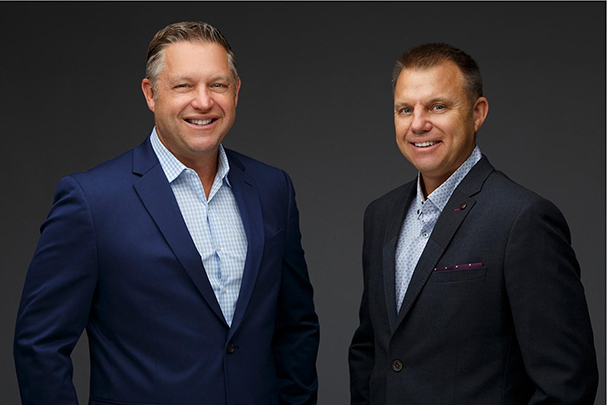 With the California real estate market changing, Scott and Craig are ready for the challenge. They understand commercial real estate and have seen many changes in their careers. They value honesty, integrity and inspire loyalty in their clients; some which they have had for over 25 years. You can trust Duhs Commercial to give you the kind of personal service you are looking for in a real estate broker. So whether you are a landlord looking to fill your retail center, an owner that would like to buy or sell a property you currently own, or a tenant looking to relocate or expand, Duhs Commercial can help you with all your real estate needs.